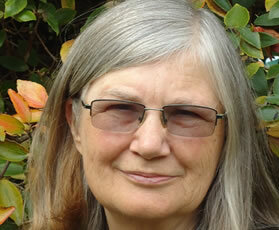 Barbara Strang has lived in the South Island of New Zealand her whole life. One of a large family, she was brought up in Invercargill. When young she was introduced to the sea, mountains and lakes and became fascinated with the natural world. She lives on the Port Hills, Banks Peninsula, under huge sea cliffs, which she saw as a symbol of the frailty of life even before the recent quakes. Her poems and haiku have been widely published and she has edited poetry anthologies. Her second poetry collection “The Corrosion Zone” appeared 2011 with HeadworX.